Michael Coleman was born in Ireland in about 1830. He was living in Chicago by 1860 with his wife Anna at 228 S. Des Plaines Avenue. He died in 1905 and is buried at Calvary Cemetery in Evanston Illinois. Click on "photos" link above for more information about this family. For further details, contact the Chicago Genealogical Society. 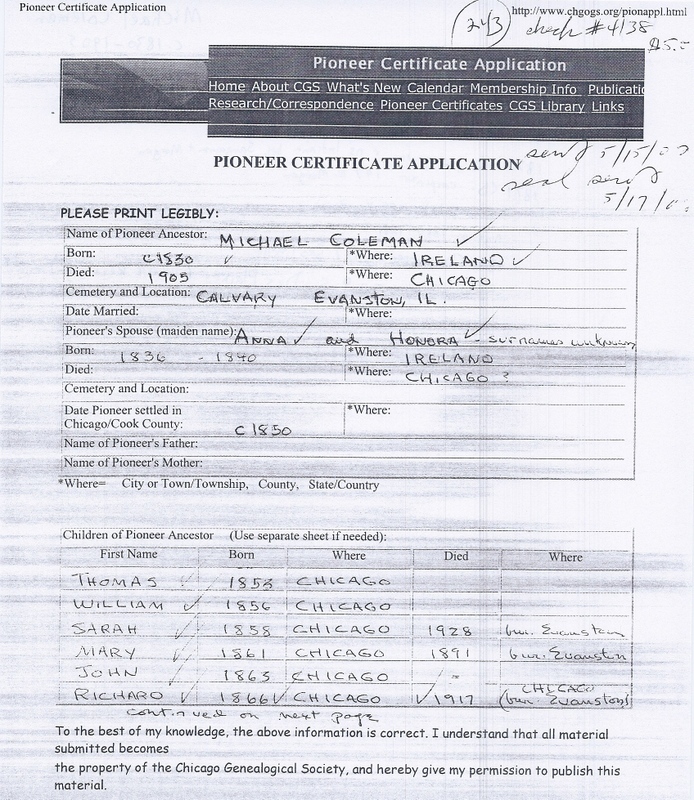 Michael Coleman is Pioneer Ancestor number 243.